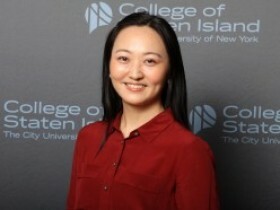 I am Assistant Professor of Curriculum and Instruction at the City University of New York (CUNY), College of Staten Island, School of Education. I work in the Early Childhood Education program within the Department of Curriculum and Instruction. I teach courses in early childhood language development, primary-grade reading and writing methods, and student teaching fieldwork. Prior to CUNY, I pursued my doctoral degree (Doctor of Education) in Curriculum and Teaching at Columbia University, and served as an instructor in the Early Childhood Education Program and Literacy Specialist Program at Columbia University’s Teachers College for three years. I also worked as a researcher at the Teachers College EdLab, writing for Teachers College’s online publication New Learning Times, designing online courses on digital literacies and cyber bullying, and leading interdisciplinary research projects in curriculum development, teacher education, and educational technology. My core research interests are understanding (1) how culturally responsive, multimodal, and embodied literacies can help expand school children’s reading and writing practices, particularly for children with multicultural and multilingual backgrounds, who are minoritized in school curricula, and (2) how teachers can enact culturally responsive literacy practices in urban schools to meet the needs of today’s diverse student population. In addition, I am interested in examining how teacher educators can better prepare pre-service teachers and help them become agents of curricular change. I approach my work through sociocultural perspectives to understand curriculum, pedagogy, and students’ learning (formal and informal). My long-term hope is to inform ideas to improve educational practices and policies for minoritized school children as well as pre-service teachers in the U.S. and globally. NYC Men Teach, Asian Section (2017-present): I am engaged in the New York City Office of the Mayor’s NYC Young Men’s Initiative, by co-leading a research project (Principal Investigator: Travis Bristol) that focuses on recruiting and supporting Asian male teachers in NYC public schools. We are conducting a city-wide study to better understand how Asian male teachers enact their classroom teaching, implement culturally responsive teaching and learning across the settings of students’ lives, as well as how Asian parents and students connect to school-based learning. Findings of the project will contribute to the understanding and recruitment of Asian teachers who currently account for 1.8% of the total teaching force in the U.S. and inform teacher education practices and policies on the inclusion of Asian male teachers. Preparing Asian Preservice Teachers in University-Based Teacher Education Programs in the U.S. (2016-present): The current literature highlights how Asian pre-service teachers, including both Asian American teacher candidates and Asian international candidates in early childhood education who plan to stay and teach in the U.S., are often marginalized in their teacher preparation programs. In this project, I am collaborating with colleagues to illuminate the nuanced experiences and identities that shape Asian pre-service teachers’ education. We aim to inform research-to-practice discourses to develop multiculturally-responsive teacher education practices and policies. We also hope to improve the educational experiences and long-term equitable outcomes for Asian pre-service teachers in the U.S. Preliminary findings reveal international participants’ rich multicultural and multilingual knowledge and their learning-to-teach journeys that encountered collisions as well as coalescences of their schooling experiences between the East and the West. The project will continue to contribute to the improvement of preparing Asian American and Asian international candidates in teacher education programs in the U.S.
(Re)authoring the Dialogic Selves (2015-present): How do teachers and students (re)shape classroom literacy curriculum when reading and writing are expanded with embodied and multimodal (digital) literacies? This project extends from my previous work by examining a diverse group of early elementary students’ literacy expressions and design choices within, across, and beyond their official and unofficial learning spaces at school. In this project, I continue to analyze children’s bodily and multimodal (digital) expressions in their school-based literacy practices with a goal of contextualizing students as literacy designers and composers, developing concrete classroom pedagogies, and guiding pre-service teachers in creating “uncommon” instructional spaces, under the “Common Core,” for all learners. Data analysis demonstrates focal Black and Asian students’ contested school identities, artistic literary expressions, mindful design choices, as well as their dialogic, recursive, and nonlinear digital text creations. The findings problematize standardized tests and school labels that limit students’ embodied, multimodal (digital) talents. The project further helps inform classroom pedagogies and policies on the integration of technology into elementary classrooms.